Public Health England has unveiled a three-year strategy up to 2020, which places technology at the heart of its mission to improve the nation's health. Included in the plans is a desire to broker a new partnership with a technology platform-owner. The body, which is responsible for the government’s health marketing campaigns, pledged to "use technology to change behaviour at greater scale and pace, including making the most of digital channels". Deliver innovative partnerships to expand the reach of its campaigns. Create enduring brands that are part of people's daily lives. Continue to contribute to the evidence base for key public health challenges. Steve Brine, the parliamentary under-secretary of state for public health and primary care, welcomed drive’s "ambition". He added: "This new marketing strategy sets out how the team at PHE will now use innovative digital technologies to target more effectively, engage populations and support change." PHE marketing director Sheila Mitchell described the launch of the strategy as a "big moment, adding that it set out a "clear way forward" for her marketing team and agency partners. She said it was designed to be useful for key stakeholders, "everyone from local authorities who we service in terms of marketing communication through to the commercial sector". "It’s for the academics, the voluntary sector – who scrutinise the work that we do – and it’s for Cabinet Office and Number 10 so they can see this is what health marketing is contributing to the overall health agenda," Mitchell said. "The potential for things like apps and bots in terms of public health contribution is just amazing," said Mitchell. She also highlighted the need to move deeper into personalisation and targeting. The strategy commits to further extend PHE’s digital analytics capability and continue to "strengthen our relationships with the technology sector to encourage them to deliver evidence-based digital health tools to engage people at scale in their health". Mitchell said to expect more bots in the future like the "Breastfeeding friend", a Facebook bot that can provide midwife-approved answers to questions in a personal way. It was developed after the body discovered that peak time for breastfeeding-related searches is between 2am and 6am. 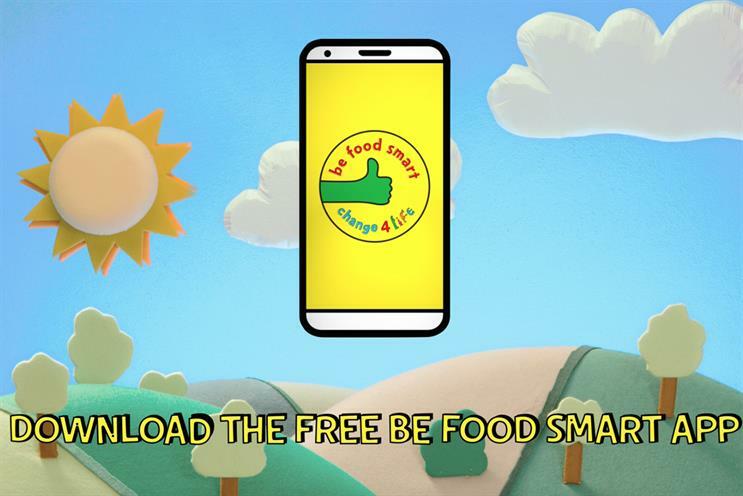 Resources will also be focused on support tools such as the Change4Life's "Be food smart" and "Sugar smart" apps, the latter of which has had two million downloads. However, the strategy points out that a broadcast approach is sometimes "more effective than the most efficient targeting". "There’s still something about the scale, importance and authority of having broadcast messages out there," said Mitchell. Commercial partnerships with brands such as Amazon, Asda and Disney have generated £123m of in-kind support. Building on this, PHE wants to explore new relationships with different sectors such as the out-of-home food sector and bring charities and brands to work together on key issues such as heart health. It also set out plans to "work towards a new partnership with a technology platform owner". Mitchell said she wanted to have "higher order" discussions with tech platforms about how they can "help the health agenda". One of the emerging new issues that was not present in the last three-year strategy is antimicrobial resistance caused by the population’s overuse of antibiotics. The contribution that marketing can make to creating a culture that keeps antibiotics working is being discussed was under discussion, Mitchell said. "We’re constantly looking at what we spend our money on. It is a balance between where there’s a strong, proven evidence base that marketing can do something and where are there new issues where we explore and we test and possibly do something quite different." Exploring how marketing campaigns could help reduce air pollution is also mooted. Yesterday (21 September), PHE launched a TV campaign (below), created by M&C Saatchi, for the sixth year of the Stoptober anti-smoking drive. Controversially, for the first time this pushed the idea of encouraging e-cigarette use as PHE now backs them as a smoking cessation aid. Reviewing its "life course" segmenting approach as it risks leaving younger adults poorly served. Adopting an open source philosophy to amplify its messages. Refreshing the Change4Life brand with new characters. Drafting a new tobacco marketing strategy in response to this year’s tobacco control plan.